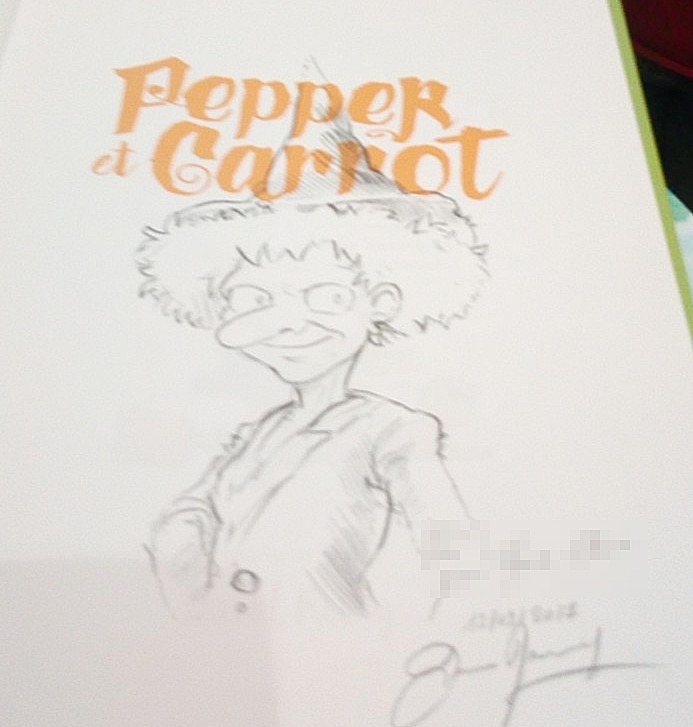 The signing session in Paris will remain an unforgettable memory: I received many visitors and I drew non-stop from 4pm to 2am! 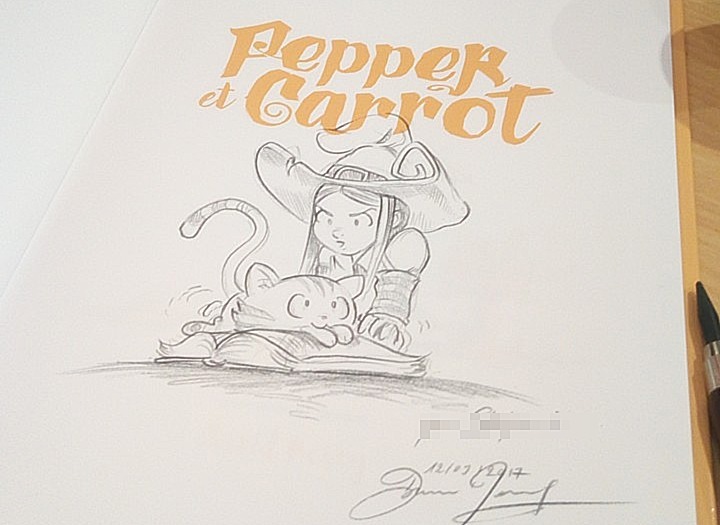 Thanks to the many of you who came to this event and thanks also to everyone who waited a long time to get a drawing and share a little time to talk together. 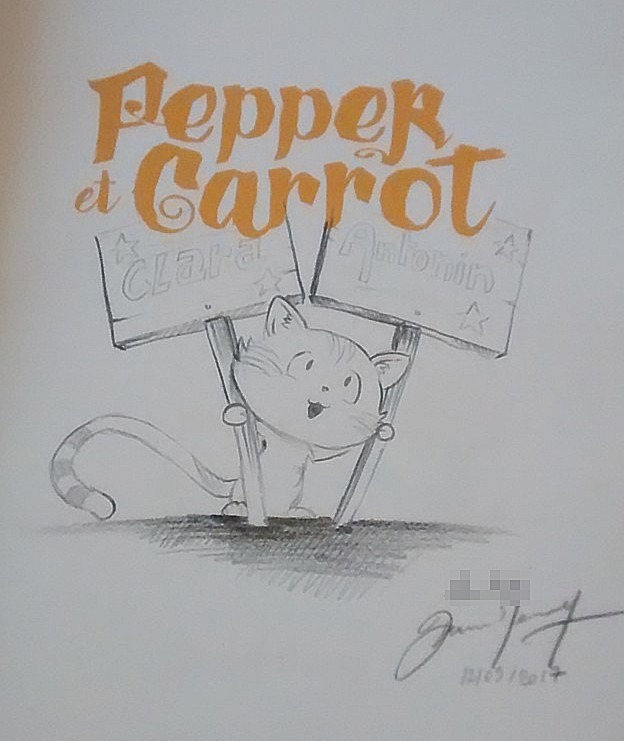 Also, thanks to Bookynette, the owner of the bookstore "A Livr'Ouvert" for her warm welcome and for keeping her shop open until late at night! 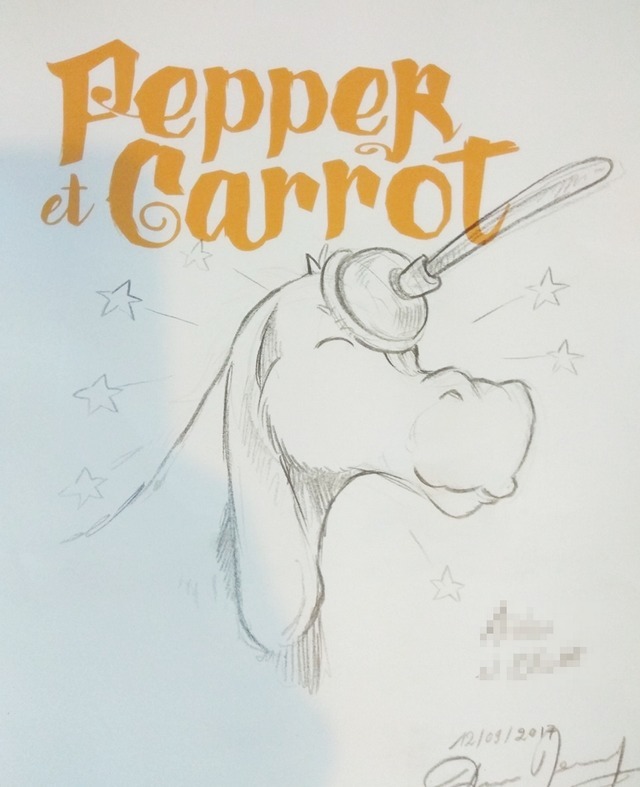 Maybe my favorite drawing made this day: Pepper, Carrot on the back of a Dragon Cow. 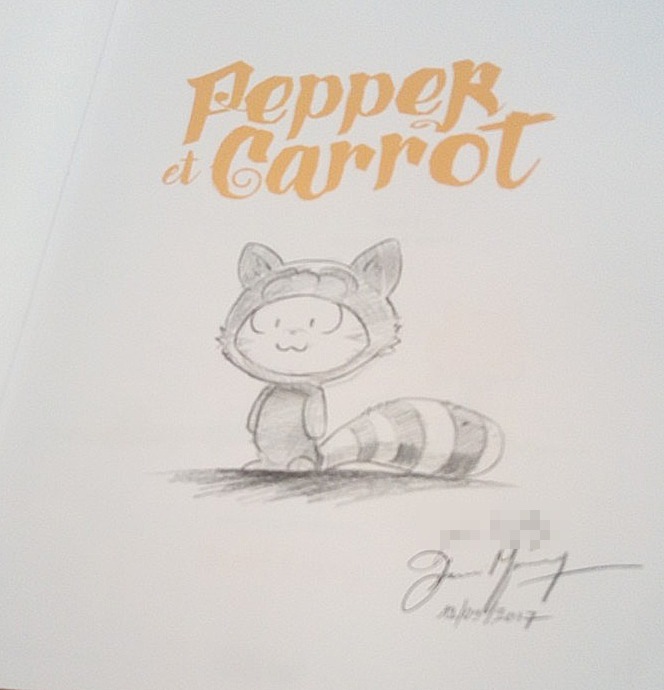 A customized request: Carrot with a Raccoon suit. 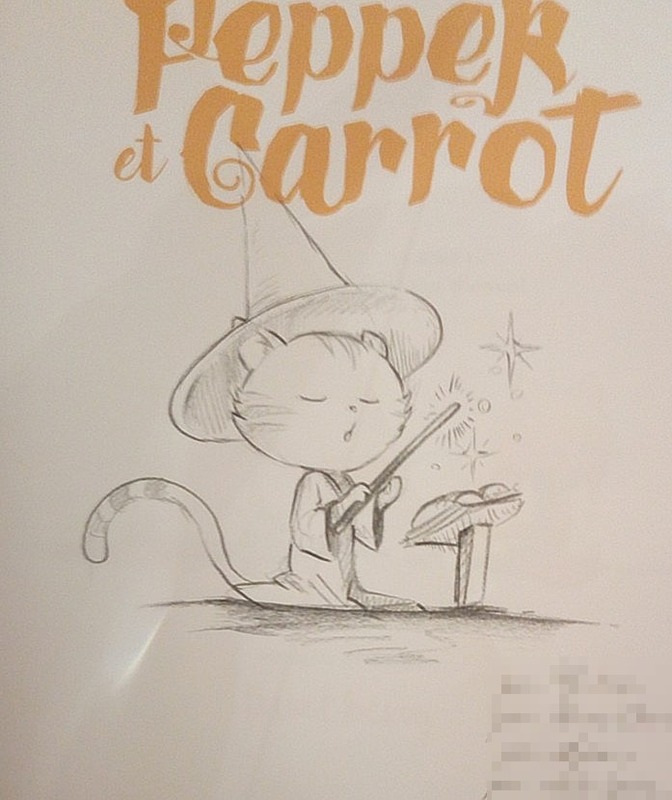 Carrot with his aviator glasses on a flying broom stick, as seen in episode 6. 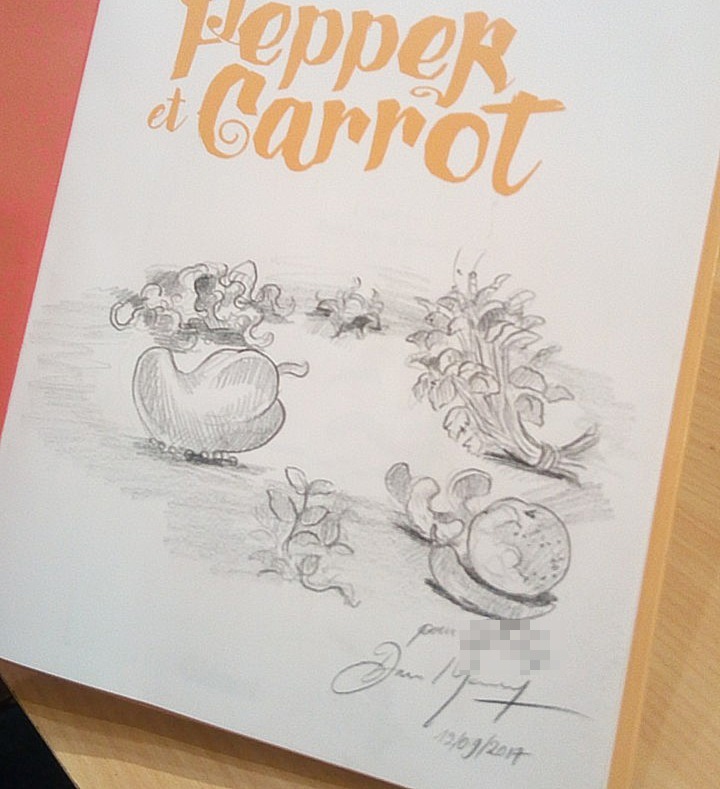 Carrot's strategy to get more attention. 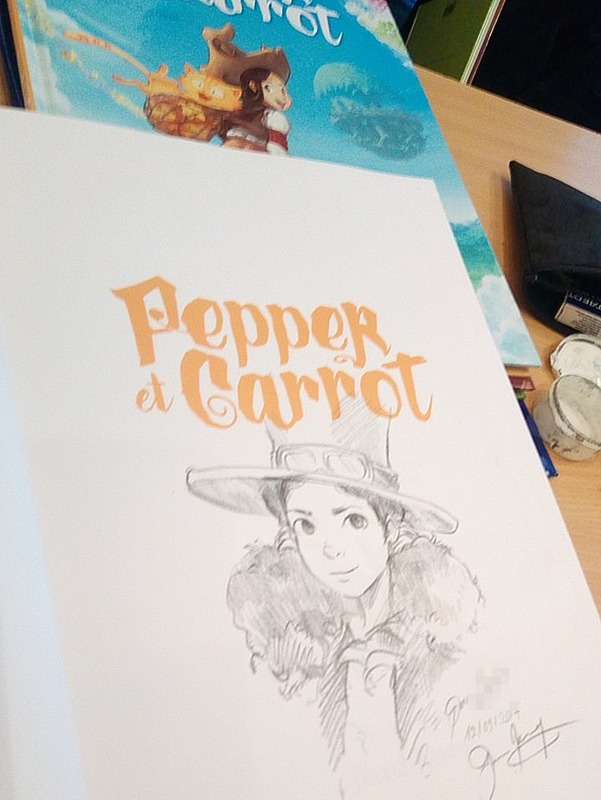 I was very happy to get a request to draw Thym, the oldest Chaosah witch. 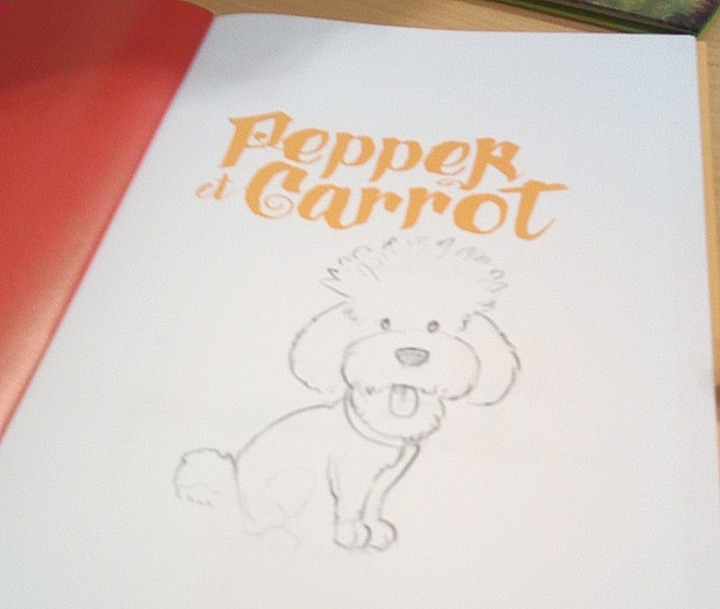 No dogs on Pepper&Carrot? 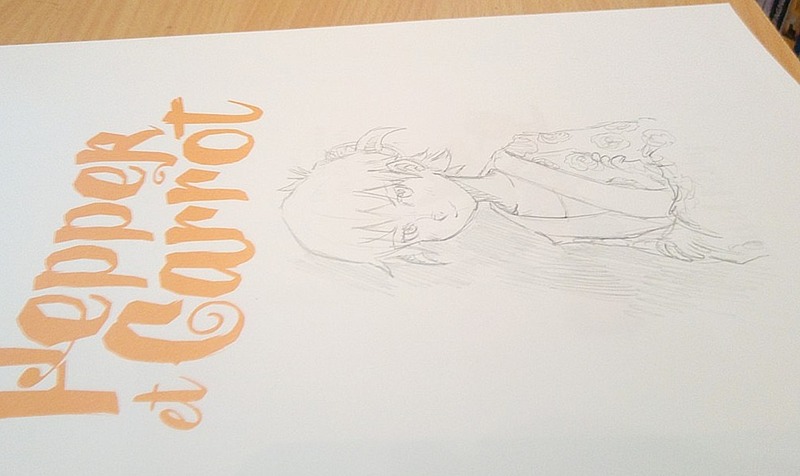 How do I draw them? 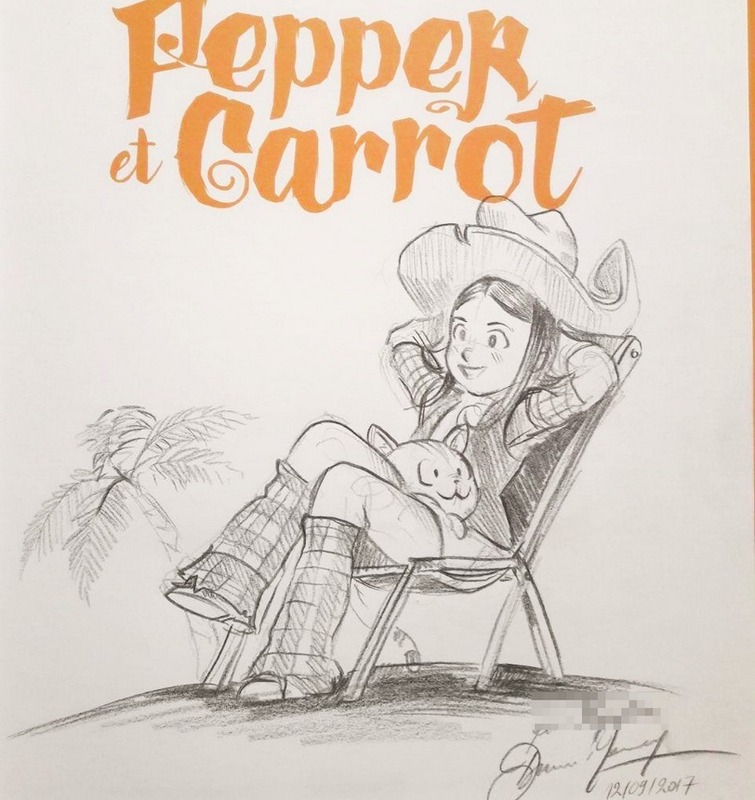 A happy Pepper and Carrot found a bug. Pepper, Spirulina, Coriander, Shichimi, and Camomille. 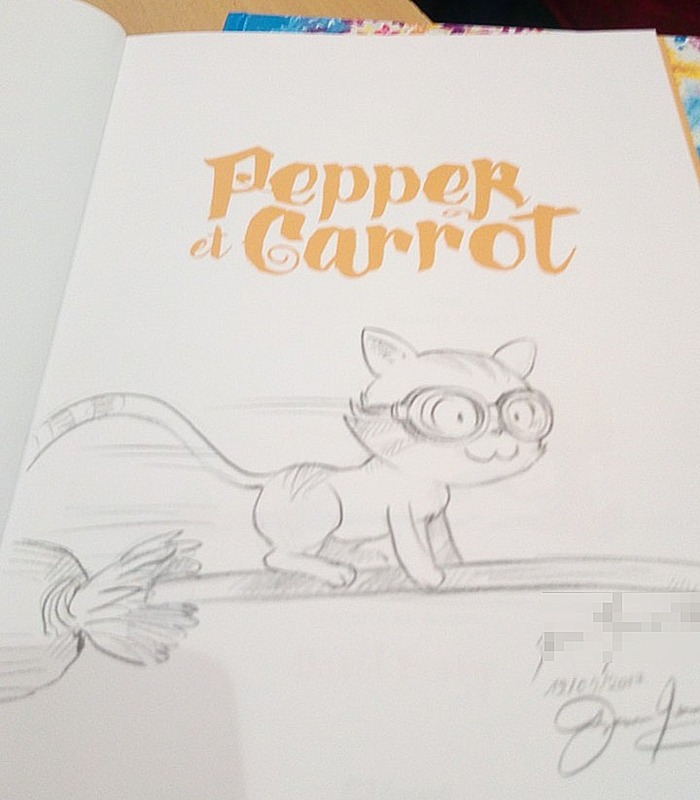 One of my favorite characters during the signing session: Shichimi. I remember I ended at 2:00am with a Shichimi in a happy zen pose. 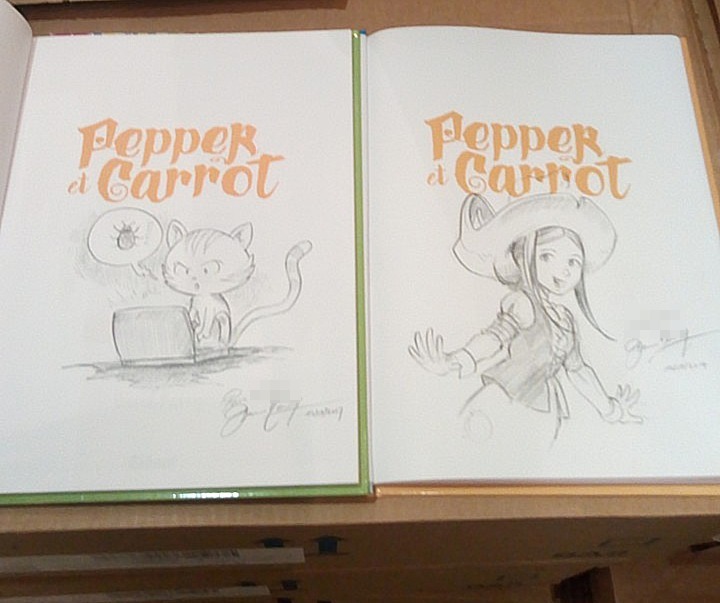 Someone wanted Coriander and that made me happy: it's rare that I get a request to draw her. That's all the samples I have on the probably 35 quick sketches I drew that day. I always have a lot of fun looking at them. 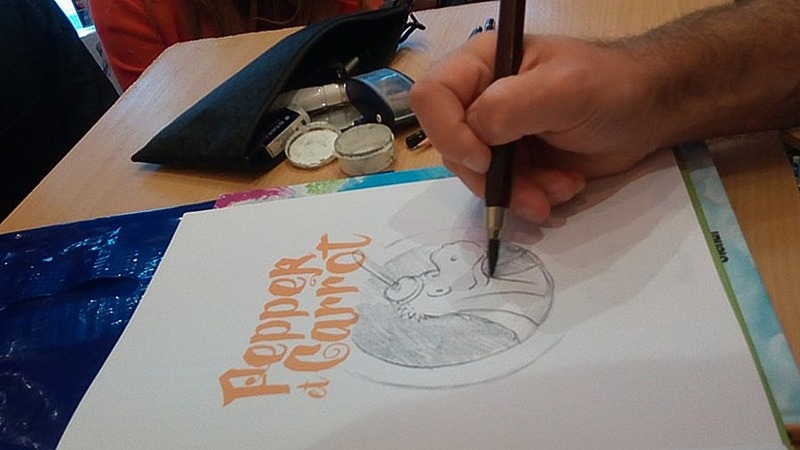 This site, your stories, and your art just make me so happy. Thanks for sharing your gift. Thank you for the sweet message! 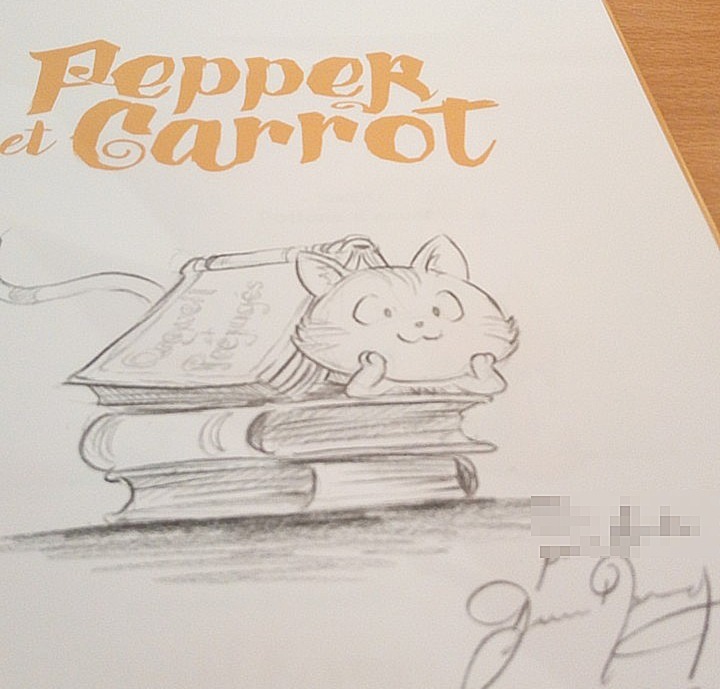 Your art and story of Pepper and Carrot brings out the old memories when i was a child.....I really love the drawings and enjoy reading every chapter..love to share it with the people in my office especially the kids..hope it was in print as a childrens book . 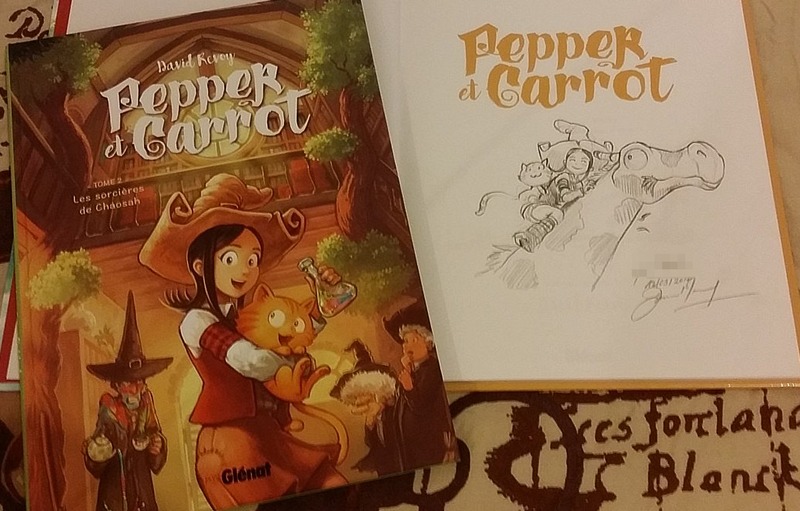 Thank you Belen for the sweet feedback!